Steven J. Carlson, Ph.D.; Kenneth A. Hansen, LLM; and Robert J. Dosch, Ph.D. The Fraud: Tom Petters, the CEO and chairman of Petters Company Inc. (PCI), an international holding company, is charged with 20 counts of conspiracy, money laundering, and mail and wire fraud. The Method: PCI allegedly created fictitious documents and then provided them to current and potential investors as evidence that it was buying and selling substantial goods and merchandise that it would resell. However, prosecutors suspect that PCI never purchased any merchandise nor resold it to the company's big-box clients. PCI allegedly still received payment for merchandise that never existed and was never received. The Fraud Examination: A PCI whistle-blower who was involved in the intricate Ponzi scheme came forward. FBI special agents later discovered fictitious companies and documents that supported the whistle-blower's accounts. The exact dollar amount of fraudulent activity isn't known, but prosecutors suspect at least $11 billion was stolen. 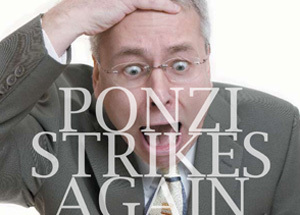 Charles Ponzi is back in the news with the alleged $50 billion Bernard Madoff scheme. But here's another Ponzi crime that might not be so prominently on your radar: entrepreneur Tom Petters has been charged with selling billions in merchandise that never existed. Learn how this happened and how frauds like this can be prevented. Tom Petters, CEO and chairman of Petters Group Worldwide, was a high-flying entrepreneur with major holdings in Sun Country Airlines, Fingerhut, and Polaroid among others. A son of a modest St. Cloud, Minn., family, he had built his one-man trading company into a conglomerate with thousands of employees around the world. He was a huge success and renowned for his generosity; Petters gave millions to universities and charities. At a local area business meeting held Sept. 12, 2008, he was even lauded for his "innovative thinking," which had helped "connect and create quality businesses that now span the globe," according to StarTribune.com. But two weeks later, on Sept. 24, federal agents seized potential evidence from Petters' headquarters in Minnetonka, Minn., and his home in Wayzata, Minn. On Dec. 1, a federal grand jury indicted Petters on 20 counts of conspiracy, money laundering, and mail and wire fraud.